McCormick World of Flavors, McCormick’s first experimental retail destination, allowed visitors to interact with many of their favorite brands from around the world like Lawry’s®, Old Bay®, Zatarain’s®, Grill Mates®, Vahiné® and Thai Kitchen®, while showcasing how McCormick brings flavor to their lives every day. Guests enjoyed interactive and educational displays, cooking demonstrations and product sampling, in essence, bringing the brands to life. Tapping into their brands’ unique legacy, the space allowed real-world cooking experiences with “fantasy” scenarios, such as a dream barbecue station and an area for cooking demonstrations and sampling, giving the sense that the kitchen is the heart of the walk-in experience. 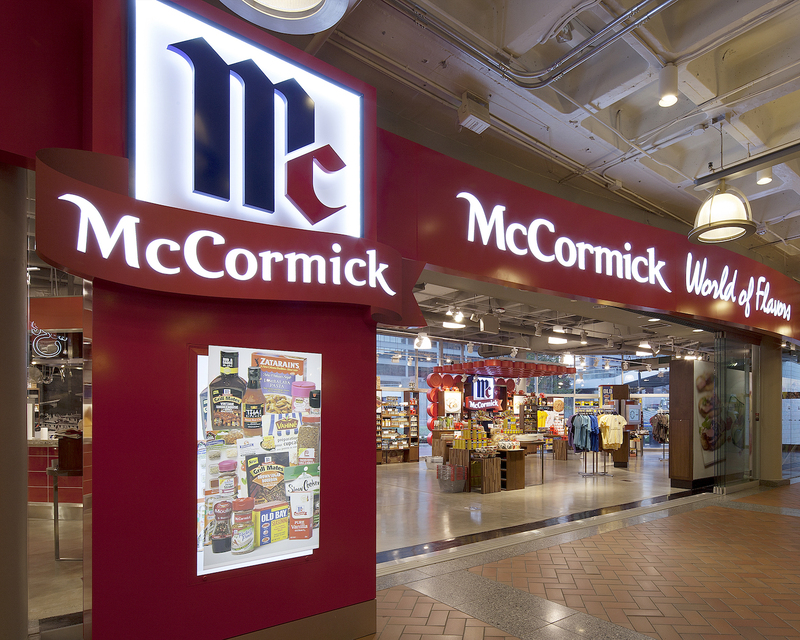 Located in Baltimore’s Inner Harbor, the store was almost loft-like; reminiscent of the McCormick Plant and Headquarters that stood steps away on the same street from 1920-1989. It served not only as a Corporate brand showcase, but celebrated their roots in Baltimore.